From the very first time 58Works placed us in front of a door and said, "Go ahead, go on through... if you can figure out how," we were charmed. Straightening our shoulders, grinning widely, we sauntered over to it and it opened. The next one wasn't as simple as that: a key was to be found before any door was to be got past. After that, the machinations involved in door opening continued to evolve. "Alright," we thought, "so we're playing games here, are we?" But from that moment on, the fixation was irrevocably set. Which is why we're so happy to see DOOORS 4, a surprisingly inventive endless escape escape game available to play on your iOS or Android mobile device. As usual in these matters, your goal in DOOORS 4 boils down to finding what needs doing to unlock and exit the door. This can mean a lot of things, though—tapping to move obstacles or using helpful tools, swiping to push things out of the way or operating a dial, tilting and shaking your device for... well, various reasons in puzzle purposes. Variety is the key descriptor here. You'll never know what you'll get from one level to the next in DOOORS 4, even if you have some idea after playing the others in the series. It begins with 40 levels, with more anticipated in a later update, and each is so different from the next, what is simple may be challenging just because you're not sure which of the many methods for solving is needed next. Also to be expected from 58Works, the design is clean and engaging, with a very responsive and intuitive user interface. Yet even more so than its predecessors, DOOORS 4 is apt to bring frustration. The wide assortment of puzzle types means you can be sailing right along, tapping your toes and humming to yourself, "Easy peasy!" when suddenly you hit a wall. Interspersed between levels replete with straight-forward logic are some that are coyly abstruse. Finding the answer almost always involves experimentation, but there are a few times you'll go past educated inference into baffled guesswork. Yet those moments actually keep this game exciting and fresh, something that's sure to catch the attention of those around you—either because they're baffled at why you keep shaking your device this way and that or because you've grabbed them by the arm and pleaded, "What would you do here to solve this?" 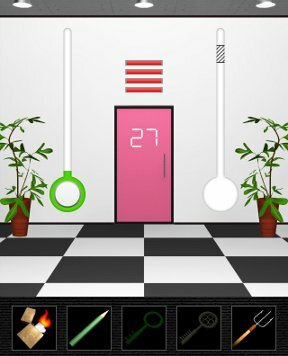 Since the release of DOOORS, there have been many games of this type to come on the scene, such as 40x Escape and 100 Doors 2013. But in this sub-genre 58Works remains above and beyond the rest, providing a tactile, dynamic experience rather than a static, solely mental one. It may not be what you're used to doing when playing a puzzle game yet, by taking full advantage of your mobile device's unique features, DOOORS 4 will immerse you in a game beyond the typical, always keeping you on your toes with new ways to have fun. NOTE: This game was played and reviewed on the iPad 2. Game was available in the North American market at the time of publication, but may not be available in other territories. 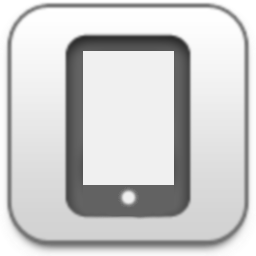 Please see individual app market pages for purchasing info. DOOORS 4 Walkthrough now available! Open the red box on the left and get the KEY. Use the KEY to unlock and open the door. Move through the doorway to exit to the next level. Using a swiping motion, slide the bottom board to the right so it's no longer blocking the door. Then, do the same for the top board. Tap the door to open it and exit to the next level. Tilt your device slightly to the right until the door lines up with the outline in the center of the scene. If you pass the center, tilt your device the other direction, adjusting carefully, tapping quickly as soon as the door is in the middle. Tap the door to open it and exit. Pick up the WRENCH from under the table on the right. Zoom in on the left table and use the WRENCH there to open a panel. Back up, open the door and exit. Pick up the BASKETBALL from the bottom corner of the scene (if you don't see it, tilt your device until it rolls into view). With the BASKETBALL selected, tap the screen where you want to throw it...timing your tosses just ahead of the hoop to score a basket. Do that three times until all three indicator lights are green. Tilt your device to the right until the bar on the right fills green, lighting the green button above it. Then tilt it to the left until the bar on the left bar fills up with green and lights the left button. Look behind the pedestal on the left to find a PITCHFORK. Back up and use the PITCHFORK to pop the big red balloon. Note the time on the clock - 10:30. The pedestal on the right is shorter, so it represents the little hand: set its dial at 10. The taller pedestal on the left represents the big hand: set its dial to 6. Rub your fingers back and forth, as if using a crayon, to color the outline of the door. Once the door is fully colored in, slide it upwards to open it. Red is where ears would be, green is for the mouth, yellow the nose, and blue are eyes. 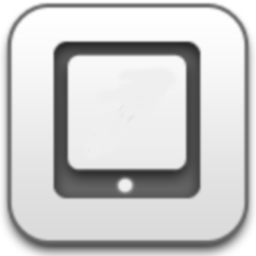 Tap each of the four squares until a symbol of the correct facial feature is shown. The design is made up of four arrows, all pointing inwards at each other. Tap each button to change the direction of the arrows, until each are pointing toward the center. Open the door and exit. Shake your device up and down until all the green bars above the door are lit up. Also note that the down-pointing anchors have one peg while the up-pointing anchors have two pegs...which is useful information considering the last two anchors are on the floor. If the anchor is points up--or has two pegs--leave the pole up. If the anchor is points down--or has one peg--push the pole down. The numbers in the foreground are partially sunk, but there's enough to tell what they say: 45x100. Doing the math, that's 4,500. Note the design above the door: it's made of four triangles, each pointing a different direction, each a different shade from white to black. Notice also the line running from the left to the right side of the screen: it starts out black and changes to dark grey, light grey, then white. When a ball is in the grey shaded band, tap it to stop it. You must act quick to solve this one...the balls stay immobile for only a few seconds. When all four balls are stopped inside the shaded area at the same time, the door will unlock. Quickly open the door before the balls start moving again. There's a lightswitch behind the plant on the right; move the plant and turn the lights off. Slide the knob on the left into the lowest position. This removes one set of bars. Now use the LIGHTER to burn the rope and slide the knob on the right to the far left position. This removes the other set of bars. Open the door and go on through. Each symbol is at an angle, so think of the shape more than how it's oriented. Pull down the handles of each string of balls. Notice that one ball on each string is marked by a white dot. Note the color of each marked ball. Put the BOLTS from your inventory on the handle. Use the WRENCH to tighten the bolts. Back up and tap the handle to raise the box. The clue above the door is telling you to use 2 fingers to swipe, sliding the door either up, down, left or right. Your goal is to move the yellow square up and out of the grid on the door. When correct, the number "21" will show on the door. Then tap the door to open it and exit. Swipe right to slide the large Easter Isle statue head in the foreground out of the way. The head on the left should face right. The head on the right should face left. Look under the desk on the right to find a PENCIL. Use the PENCIL on the paper to reveal the clue. Top Left Square: move knob to lower right corner. Bottom Left: move knob to the upper right corner. Top Right: move knob to the lower left corner. Bottom Right: move knob to the upper left corner. Tap the lightswitch to turn out the lights. Notice the symbols that light up on the wall. Press a couple of the four round buttons and turn the lights back off. Notice the different symbols? Turn lights on and off as needed to check your progress. When all symbols are in the correct order (intestines, stomach, heart, brain), turn on the lights, open the door, and exit. Tilting your device to do so, roll the ball along the tracks back and forth three times, until all three lights above the door are lit green and the door opens. Then, tilt your device to the left to force the ball off the tracks and out of your way. There's a PINK KEY stuck in its crease. Use the PITCHFORK to get the PINK KEY. Use the PINK KEY to unlock it. Unlock it with the YELLOW KEY. Inside you see the green key, but you don't need that. There is a piece of paper with a peeling edge stuck to the back of the blue cupboard's door. Peel back the paper to find a GOLD KEY! Use the GOLD KEY to unlock the door and exit. If you hold your finger on the button on the left, the green bar will fill. ...to the shaded band just slightly below the top. Holding your finger on the left button, fill the left bar only until it reaches the same level as indicated in the blue on the right. Do this four times until the door unlocks. Tap the marked white tile on the floor to turn it pink, causing a clue to show above the door. Count the total number of pink-shaded squares in each clue segment; this includes added up half-squares. So, for example, the first segment has 7 squares (6 whole and 2 halves). For each of the four 2x4 grids, tap until you've shaded the correct number of squares green, matching with the clue. Notice how the buttons are lighting up? This puzzle is a bit like whack-a-mole: when a button lights up, tap it. After successfully tapping five green-lit buttons in a row, the door will unlock. Pick up the CONE then pick up the CANNON BALL that was under it. Put the CANNON BALL in the cannon and your LIGHTER to light the cannon's fuse. With the dinosaur gone, you can safely open the door and exit. Pick up the STEPSTOOL from the lower left corner of the scene. Stack your STEPSTOOL on top of the stool to the right of the door. A Russian phrase appears in the box. To properly view the whole clue, you'll need to tilt your device all the way to the left and press the red button. The numbers panel will slide down for a moment. Quickly note the leftmost number. Then tilt it all the way to the right and press the red button again; now you can see the far right number. Every few seconds, the screen will go dark. You'll need to shake your device from side to side to get the lights to come back on. Using a swiping motion, raise up the chain on the left. Then, raise up the chain on the right. A round shield with a pattern on it will be lowered into the scene. Look at the pattern as if it's arrows that are overlapping each other. This tells you the direction to turn buttons next to the door. Using two hands, pull open the wrought iron gate by simultaneously swiping, sliding the right side gate to the right of the scene while sliding the left side of the gate to the left. Now carefully tilt your device until the white dot on the large purple ball is pointing left (as shown in the clue above the door). When you have the ball in the correct position, the red bar above the door will turn green. Quickly tap the door to open it before the ball moves out of position. TOP LEFT CORNER and BOTTOM RIGHT CORNER. Barely visible on the wall behind the couch is a 3x3 panel of buttons. Tap behind the couch to go there. Tap the top left and bottom right buttons to checkmark them. Back up, open the door, and exit. Notice the color of the ball? The next button you tap needs to be the same color as the ball that was just tossed. Tap the colored buttons to match the tossed ball six times in a row to unlock the door. The solution to this puzzle changes each time you play it. Tilt your device backwards until the scene is upside down...this causes the wooden panel to temporarily slide upwards. Note the time on all the clocks. There is one decoy clock. Tap each button to change the direction of its arrow, matching four of the clocks (ignore the 7:00 clock). Look behind the bookshelves to find a XYLOPHONE HAMMER. Each shelf has a different number of books on it (from 1 to 6). The shape of the bookcase resembles the shape of a xylophone. The size of a shelf corresponds to the size of the xylophone key while the number of books on it indicates in which order it is tapped. When played correctly, a panel in the xylophone opens up. Back up and take the HANDLE from the xylophone. Put the PENCIL inside the hole. Add the HANDLE to the pencil. Turn the newly formed crank. Put the CAUTION CONE on the dooorsman's head. Open the door to see a tangle of branches. Use the LIGHTER to burn the branches down. Take the GREEN and PINK BALLS from the table. Pick up the GREY BALL from the floor. Put the PITCHFORK under the wall on the right side of the scene. With a swiping motion, slide up the pitchfork to move the wall up. Take the BLUE BALL from the cubby in the upper left corner. Tilt your device to the left, causing the ladder to slide over to the right side of the sceen. Take the YELLOW BALL from the upper right cubby. Having trouble with level 35.... Anyone out there have the solution? Look under the cushions on the left side of the scene and check out the 3x3 grid of swirly patterns. Notice the two that are different? On the wall behind the couch is a 3x3 grid of buttons.... Check off the two that correspond to the different swirls. Level 21 has me stumped. Hint, anyone? It's the one with the blue door bearing the d-shaped design and the "2" surrounded by arrows pointing outwards. Nothing I try has any effect! I thought I'd tried swiping with two fingers. Go figure. Tilt up to get rid of the wooden barrier. And ignore the 7:00 clock; the others are what you need. Another good one and hope for more levels.